Congratulations to @ctough24! You are the winner of #1 Can You Say Catastrophe? by Laurie Friedman! Please send us a DM on Twitter or an email to publicityinfo@lernerbooks.com with the subject line “Free Book Friday” and tell us your mailing addresses so we can get your book in the mail. 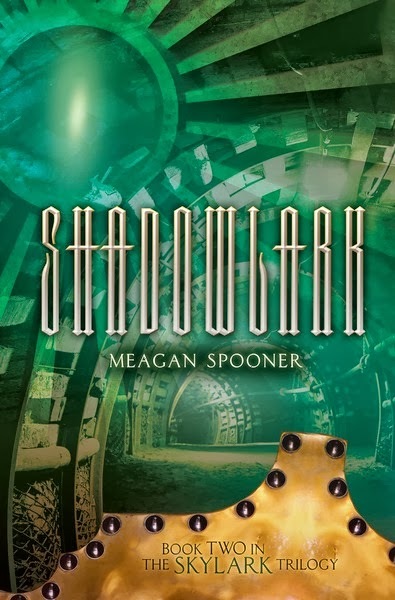 This week we’re excited to giveaway Shadowlark, the second book in The Skylark Trilogy by Meagan Spooner! Ever since she escaped the city within the Wall, Lark Ainsley’s wanted one thing: to find her brother Basil. She’s always believed he would be the one to put an end to the constant fear and flight. And now, hidden underground in the chaotically magical city of Lethe, Lark feels closer to him than ever. But Lethe is a city cowering in fear of its founder, the mysterious Prometheus, and of his private police force. To get the truth about Basil, Lark has no choice but to face Prometheus. Facing her fears has become second nature to Lark. Facing the truth is another matter. Lark never asked to be anyone’s savior. She certainly never wanted to be anyone’s weapon. She might not have a choice. We’ll announce the winner during Free Book Friday on October 25, so be sure to come back to the Lerner blog to see if you’ve won! I am SO eager to read Shadowlark Skylark was so unique and eery. Cannot wait!! I've been waiting for this book since I happily discovered “Skylark” on an impulse stop by the bookstore! AHH. I want this so badly :O Thank you for the chance to win! !